The word pumpkin comes from the Greek pepõn for large melon. The English termed it pumpion or pompion. This term dates back to 1547, yet it did not make an appearance in print until 1647. The pumpkin was one of the many foods used by the Native American Indians in the new world and was a welcome discovery by the Pilgrims. The Indians pounded strips of pumpkin flat, dried them, and wove them into mats for trading. They also dried pumpkin for food. The new Americans heartily embraced the sweet, multi-purpose fruit which became a traditional food. 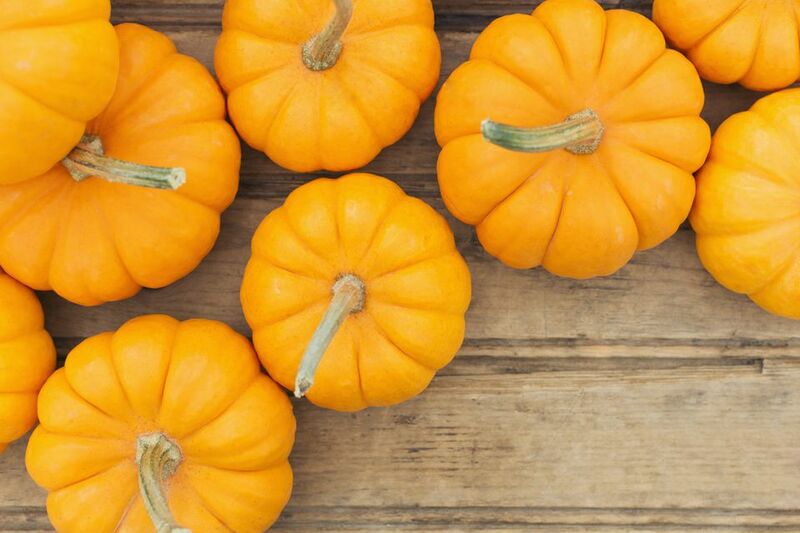 The colonists used pumpkin not only as a side dish and dessert but also in soups. Pumpkins are popular at when they are carved into Jack-o'-lanterns. The practice was brought to the United States by Irish immigrants who originally carved turnips into Jack-o'-lanterns. In America, pumpkins were more plentiful and cheaper than turnips, and so came about the switch from turnips to pumpkins. The pumpkin blossoms can also be used as those of the squash family, such as batter-dipped and fried squash blossoms.